To meet the increasing demand for the packaging of sliced meat and other perishable foods, centralized vacuum solutions replace systems made of multiple small vacuum pumps and reduce oil exhaust and noise levels in the production facilities. Finnish meat processor HKScan relies on Pneumofore vacuum solutions for their production site in Swinnoujscie, Poland. The first installation goes back to 2005 when the company introduced a centralized double-stage vacuum system made of three UV16 vacuum pumps. 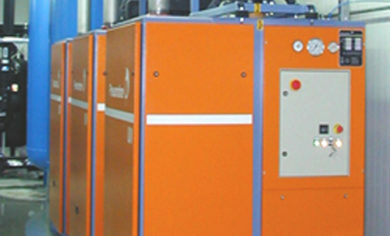 These machines are combined with a roots pump at the second stage and achieve absolute pressure level of 0,05 mbar(a). The silent operation and the extraordinarily clean exhaust of the UV Series pumps, combined with the use of H2 class food coolant that meets the NSF standards, fully satisfied the customer’s expectations and the specific application’s needs. As a result, two years later the company upgraded the vacuum system with an additional double-stage UV30 unit in order to meet the increasing demands from the production. 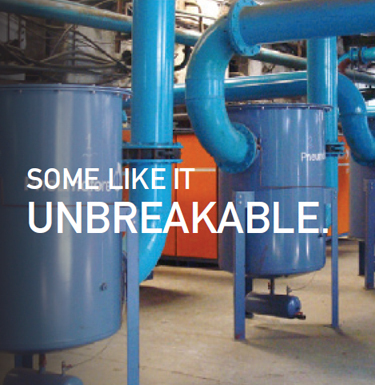 All four Pneumofore units have been running trouble-free since their installation. Other companies in the food packaging sector have chosen Pneumofore systems to assist their packaging process, most of which takes place in cooling rooms. Located near Venice in Northern Italy, the food manufacturer Franzin Carni relied on the UV Series vacuum pumps to improve the packaging speed, eliminate oil mist, and reduce heat generation as well as the excessive noise caused by the previous system. 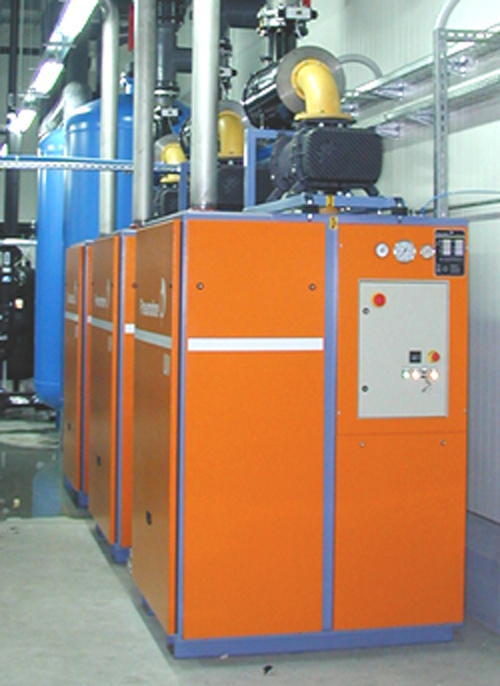 This consisted of four units of 250 m3/h each and two unit of 170 m3/h, all installed inside the 2 °C cooling room. Pneumofore replaced them in 2002 with a centralized system made of one double-stage UV16 vacuum pump, generating 4 mbar(a) pressure. The new system raised the packaging speed from 20 to 24 packs per minute, which means 20% higher efficiency and reduced the operational costs. Moreover, the cooling room’s operators were as pleased with the improvements as the company management which, four years later, decided to upgrade the system with another UV16 vacuum pump with further benefits for the production. Thanks to the engineering and piping design support offered – free as standard – by Pneumofore, the system was placed outside the production facility on the top roof of the building and it has been running for more than a decade without any interruption or overhauling needs. Outcomes like this exist when the solution provider and the customer collaborate on a full application analysis and when the improvement of one parameter does not compromise performance elsewhere. 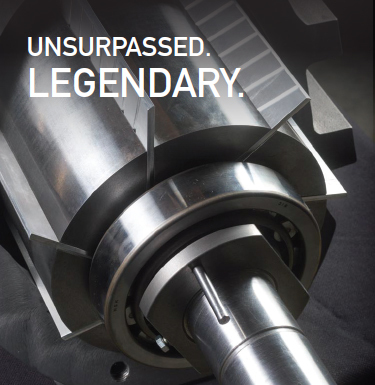 Relying on decades of experience, Pneumofore has a strong reputation as a vacuum solution provider for the food packaging industry. The optimal vacuum level permits higher packaging speed. 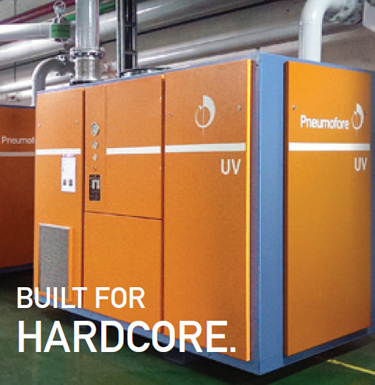 The evacuated humidity is easily managed by the Pneumofore UV H pumps. The exclusive feature of air cooled centralized vacuum systems is truly remarkable.